This international, fully-refereed journal, sponsored by the United Kingdom’s Association for Research in Post-Compulsory Education (ARPCE), reports on research in the increasingly important area of post-compulsory education. Throughout the world, there is a growing awareness of the significance of vocational and post-compulsory education and training systems. The majority of countries are working hard to develop their provision, recognising the importance of post-compulsory education in providing educated and skilled people in sufficient numbers at appropriate levels to assist economic and social development. Research in Post-Compulsory Education recognises the need for more international research and analysis and the generation of relevant theory in order to identify policy needs and trends as well as priorities in this growing area. While reporting current research, the journal also actively encourages the further development of research for post-compulsory education. 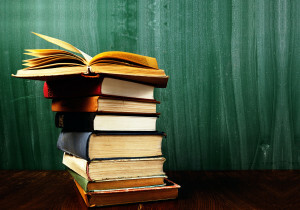 Research in Post-Compulsory Education is essential reading for policy-makers and researchers, practitioners and practitioner-researchers in all the different spheres of post-compulsory education including vocational/technical education, adult and continuing education, community education, schools, further and higher education. The Editorial Board and Advisory Board members are drawn from many countries and sectors to take account of the need for wide representation and editorial expertise. All research articles in this journal have undergone rigorous peer review, based on initial editor screening and anonymised refereeing normally by two or three expert referees. The journal is provided, by post, free of charge to ARPCE members. Volume 20 number 1 was circulated to members recently. Featured articles include ‘Literacy, learning and identity: challenging the neo-liberal agenda through literacies, everyday practices and empowerment’ jointly authored by Vicky Duckworth, an ARPCE Committee member, and ‘Higher apprenticeships and the shaping of vocational knowledge’ by Jim Hordern at Bath Spa University. The full contents list for this issue can be found on the publisher’s website. Would you like to write for the Journal?